A Hemorrhage is a loss of blood. There are four classes of Hemorrhages. 1. Loss of 15% blood volume. No change in vital signs. 2. Loss of 15-30% blood volume. 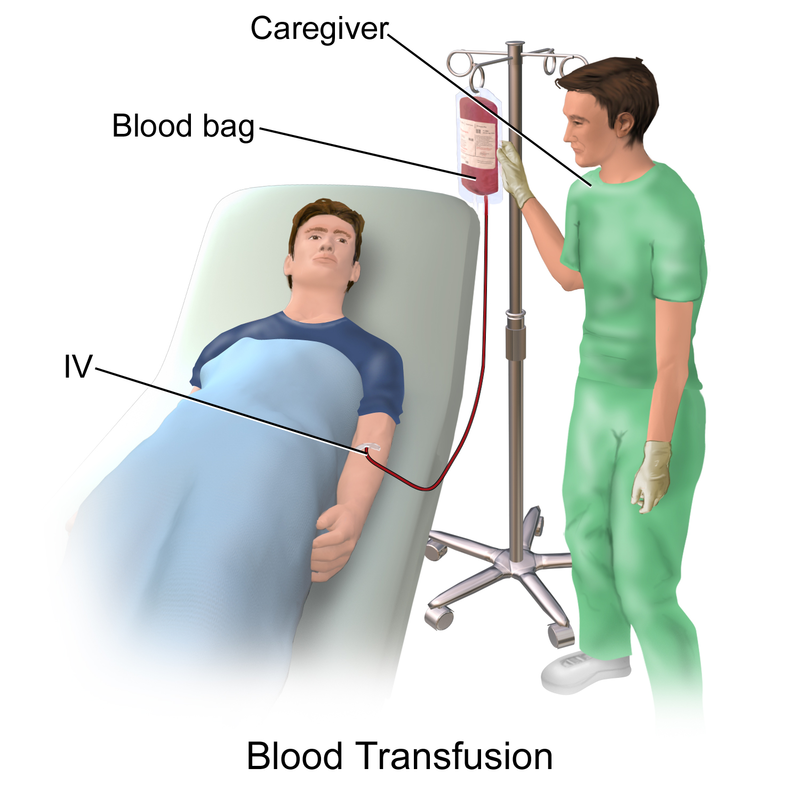 Blood transfusion isn’t usually necessary, but may need Saline solution (salt water). Rapid heart beat. 3. Loss of 30-40% blood volume. Blood transfusions are necessary. Drop in blood pressure with rapid heart beat. 4. Loss of 40% blood volume. Resuscitation is necessary for death prevention. Treatment: Check for universal precautions. Perform CPR, if necessary. Wrap hemorrhage, if possible. Call 911 or bring the patient to the nearest hospital. Nosebleeds are very common. Whether it’s a hot day or a minor fall nosebleeds are not a serious medical problem. Treatment: If the nosebleed results from a more serious injury such as a broken nose or a head injury, make sure to call 911. If the patient falls unconscious or is non-responsive without a pulse, perform CPR. If the nosebleed occurs to be a serious injury make sure to apply pressure for roughly ten minutes—make sure to have the patient breathe through his/her mouth. After applying pressure, make sure to clear the patient's nose cavity. If the patient is congested, thoroughly wash the cavity or use a decongestant after the patient has tried blowing his/her nose. If the patient undergoes many nosebleeds, it can be a more serious injury than it appears so have the patient call his/her doctor to set-up and appointment. Hypoglycemia is a syndrome which results from low blood sugar. Symptoms: Anxiety, fatigue, heart palpitations, hunger, irritability, pale skin, shakiness, sweating, and tingling sensation around the mouth (may vary from person-to-person). As it worsens - symptoms worsen, abnormal behavior, blurred vision, confusion state of mind, seizures, unable to perform routine tasks and unconsciousness. Treatment: For symptomatic hypoglycemia provide a rapid clinical relief with oral glucose tablets. If glucose tablets aren't available, provide other foods and liquids containing sugars such as fructose, sucrose, and oligonucleotides. Such foods can effectively reverse mild symptomatic hypoglycemia.